Wipro Limited today announced that it has become a member of the LoRa Alliance™, one of the fastest growing Internet of Things (IoT) alliances with over 400 members. This membership will help Wipro accelerate its Internet of Things (IoT) solution deployments, using Low Power Wide Area Networks (LPWAN) technology for customers across industry sectors such as energy, utilities, natural resources, smart cities, ports, and logistics. 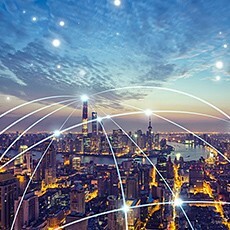 The LoRa Alliance™ is an open, non-profit association, with a mission to standardize the deployment of LPWAN technology across the world to enable IoT, machine-to-machine (M2M), smart city, and industrial applications. It was formed in 2015 by technology industry leaders, including Cisco, Semtech, IBM, and telecommunications majors. The LoRa Alliance™ defines and drives the Long Range Wide Area Network (LoRaWAN) technology. LoRaWAN™ is an LPWAN specification intended for wireless battery operated devices in a regional, national or global network. It provides seamless interoperability among smart devices without the need for complex local network installations, and empowers users, developers, and businesses, enabling the seamless rollout of IoT solutions.